How about the Vancouver-Richmond champion Kitsilano Blue Demons, whose last game, a PK victory in the zone championship final over the No. 1-ranked R.A. McMath Wildcats of Richmond just happens to be their biggest win of the season? 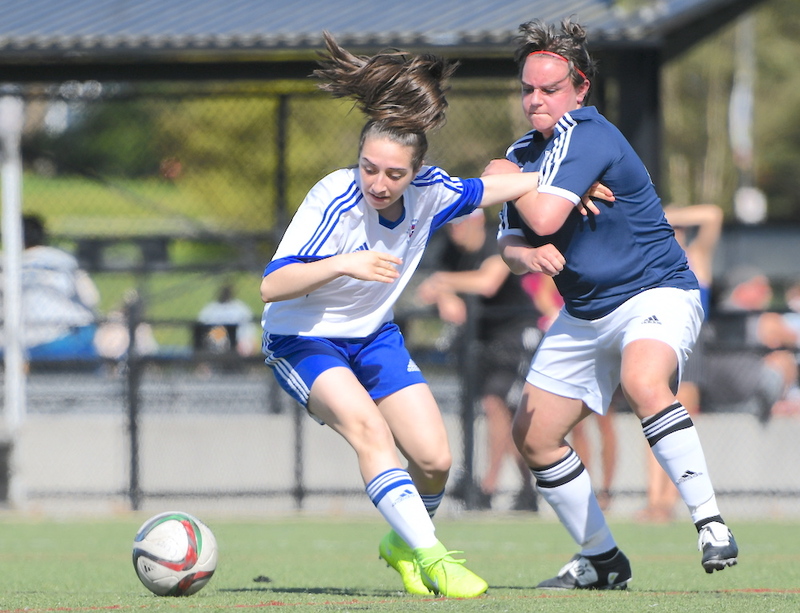 For that matter, the always-tough Argyle Pipers of North Vancouver, back after a rare absence last season? Vancouver Island champ Reynolds of Victoria? 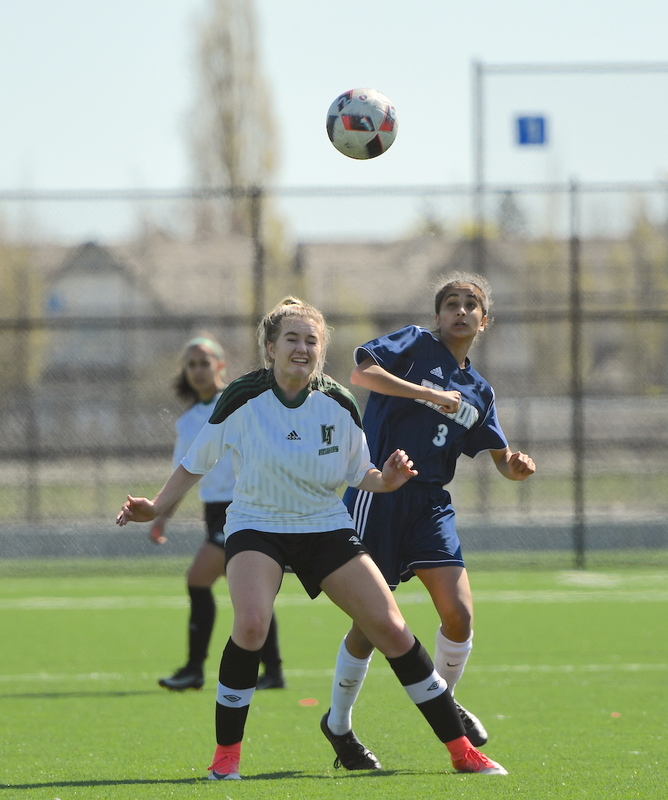 Or perhaps Valley runner-up South Delta, who conceded their zone’s top prize on PKs? It’s a true pick ‘em year as UBC and a number of neighbouring venues serve as the host site for the 2018 B.C. 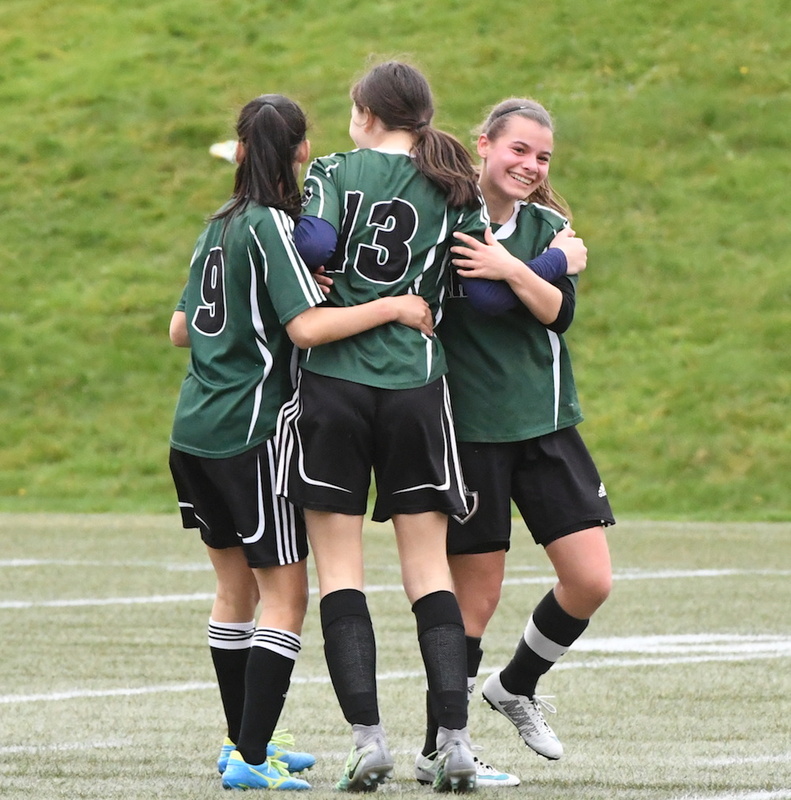 senior girls AAA soccer championships. The three-day run begins Wednesday and wraps Friday. And if you’ve followed this event in past years you know that the 16-team field is divided into four pools. On Wednesday, each team plays two others in its own pool. On Thursday morning, every team plays its final of three pool games. Standings are then determined (almost always by tie-breaking formulas), with each of the four pool winners advancing to the Final Four semifinals later in the day. On Friday, placing games take place, leading to the 11:15 a.m. title match. 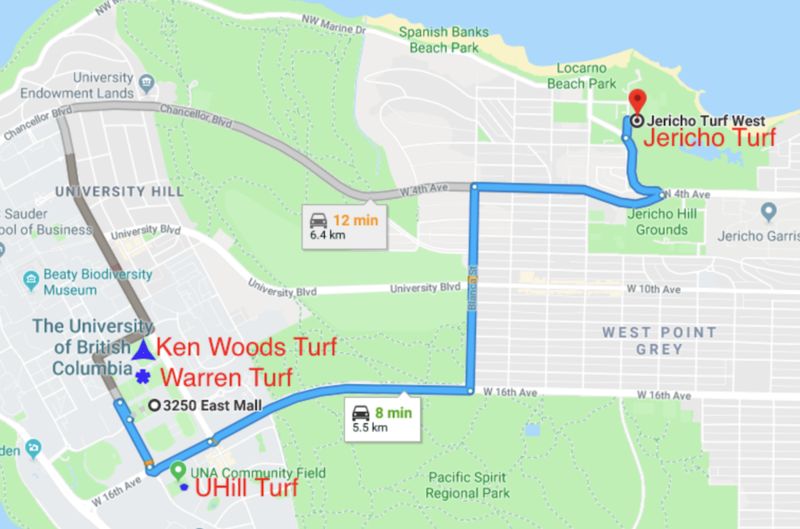 Complete day-by-day schedules and field location map are included below (note — tournament officials have confirmed as of late Friday afternoon that the tourney’s championship final will be played within the cozy confines of UBC’s Thunderbird Stadium, not at Ken Woods Field, as is indicated on the official tournament schedule). Today, we preview the tournament by looking at key pool games both Wednesday and Thursday in advance of the semifinals and finals. 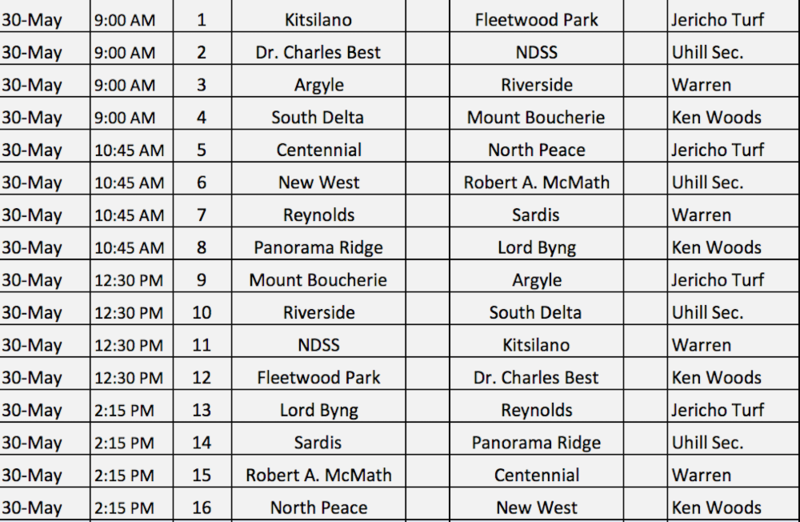 GAMES TO WATCH — Fleetwood Park vs. Kitsilano (9 .am. ), Fleetwood Park vs. Dr. Charles Best (12:30 p.m.). Both Wednesday. 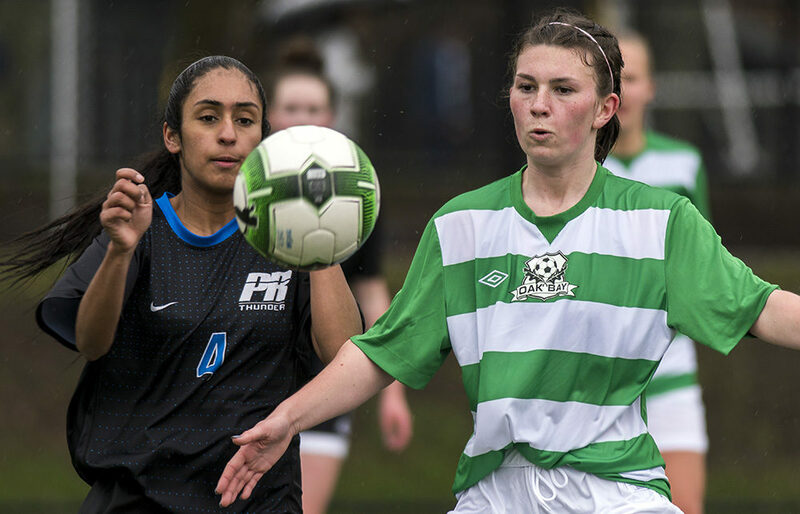 The skinny — Last season, Surrey’s Dragons came in as the Fraser Valley’s seventh-and-final seed, then proceeded to advance all the way to the final where they lost on penalty kicks. Both of these games have epic promise, the Fleetwood-Best tilt a rematch of the 2015 B.C. final in which the Blue Devils beat the Dragons. The skinny — Not to get too far ahead of ourselves, because in order for there to be real meaning here, both the Pipers and Sun Devils will have had to have taken care of business the day before against veteran-laden, upset-minded Riverside of PoCo, the Valley No. 7s who beat Centennial when the Centaurs were ranked No. 1 and lost 1-0 in a FV playdown contest against Sardis, the team that was No. 1 in B.C. longer than any other team this season. If, and only if, the seedings play true, get ready. This could be a great one. The skinny — One team (McMath) fell out of a No. 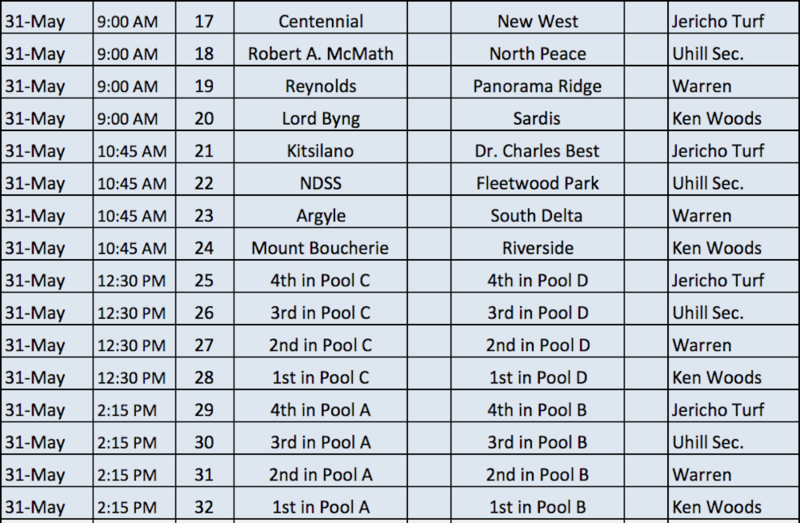 1 pool seeding by losing in its zone final, while the other (Centennial) claimed it by winning at the same stage. Both decisions were rendered on penalty kicks. As well, it’s a battle between two teams which, at various stages this season, owned the province’s No. 1 ranking. The skinny — Basketball frowns on opening-round provincial tournament match-ups between zone rivals. In this case, girls soccer celebrates the same. Each a B.C. Final Four qualifier a season ago, Sardis is the team looking to improve on a semifinal loss from one season ago, while Panorama Ridge, the defending champion, looks to recapture its mojo from a magical run 12 months ago. 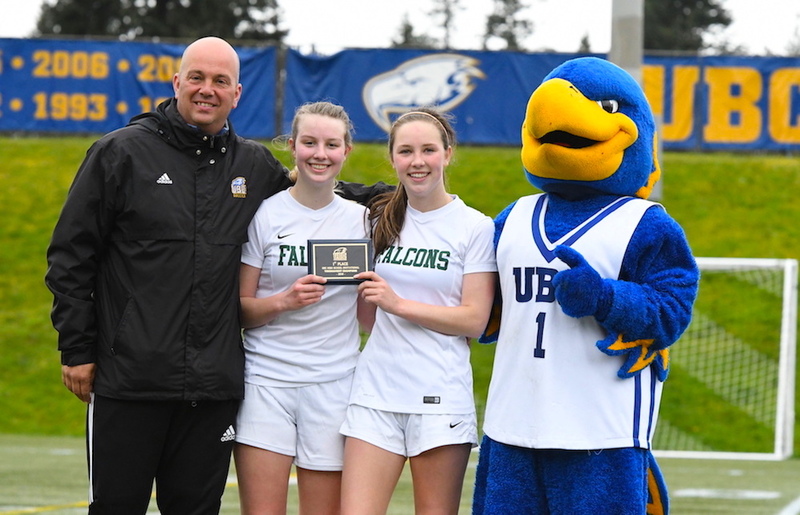 Friday’s championship final is slated for Ken Woods field at UBC beginning 11:15 a.m.